The International Conference on Several Complex Variables will take place at the Steklov Mathematical Institute (Moscow) from September 26 to September 30, 2005. 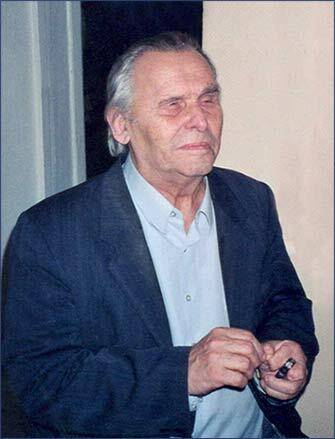 The conference is dedicated to the memory of Anatoly Vitushkin. V. K. Beloshapka, E. M. Chirka (Chairman), A. A. Gonchar, N. G. Kruzhilin, S. Yu. Nemirovski (Secretary), P. V. Paramonov, A. G. Sergeev. Bo Berndtsson (Goteborg), Klas Diederich (Wuppertal), Vladimir Ezhov (Adelaide), Franc Forstneric (Ljubljana), Bruce Gilligan (Regina), Josip Globevnik (Ljubljana), Alan Huckleberry (Bochum), Sergey Ivashkovich (Lille), Alexander Isaev (Canberra), Burglind Juhl-Joricke (Uppsala), Gennadi Khenkin (Paris), Ryoichi Kobayashi (Nagoya), Finnur Larusson (London, ON), Mark Mel'nikov (Barcelona), Junjiro Noguchi (Tokyo), Takeo Ohsawa (Nagoya), Sergey Pinchuk (Bloomington), Wieslaw Plesniak (Krakow), Evgeny Poletsky (Syracuse), Claudio Rea (Rome), Jean-Pierre Rosay (Madison), Min Ru (Houston), Azimboy Sadullaev (Urgench), Gerd Schmalz (Armidale), Rasul Shafikov (London, ON), Nikolay Shcherbina (Wuppertal), Vsevolod Shevchishin (Freiburg), Yum-Tong Siu (Harvard), Alexandre Sukhov (Lille), Alexandre Tumanov (Urbana-Champaign), Claude Viterbo (Palaiseau), Xiangyu Zhou (Beijing).